When our dog gets sick we want to give them the best medical care possible. However, vet care and medicine for your dog can be expensive. Pet owners spend over $16 billion a year on vet care and that is not including over the counter medications. Using everyday natural ingredients that we already have around the home to help treat our dogs can help to ease our expensive medical costs. 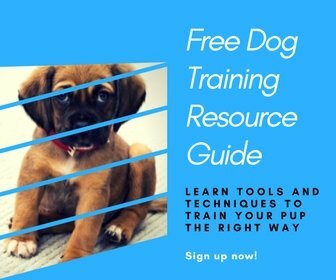 Arming yourself with knowledge of natural products and how to use them, can help you to treat your dog with natural first aid, and use natural remedies to help your dog avoid pests and parasites that can cause illness. We list here some of the best natural remedies for dogs we have collected over the years to help prevent and treat your dog’s health conditions. Why Use Natural Remedies for Dogs? It is important to always give your dog the best medical care you can. So if your dog is sick or injured you should always seek professional advice from your vet. Natural remedies are a way to treat your dog’s health conditions with natural ingredients rather than using synthetic and chemical medical solutions that can cause harmful side effects. They can often be used in conjunction with conventional medicines and as a preventative to avoid health conditions. Having natural remedies on hand to treat your dog can save you time and even save your dog’s life. It also can help to reduce your vet costs when using natural products you already have at home. Natural remedies are ideally suited for first aid emergencies, minor health conditions, aches and pains, and preventative measures. Having a first aid kit for dogs is essential for those emergency medical issues that crop up. You can stock up your medicine cabinet with natural treatments and herbal supplies for emergency first aid that can save your dog’s life and help ease their suffering before you can get them to the vet. Here are a few natural plants and products that are essential for your dog first aid kit. The aloe vera plant is a great addition to your garden that can also help you and your dog as well. It is antibacterial and soothing so is ideal to help heal a cut, scrape or burn. Just pull off a leaf and squeeze out the gel onto the affected area of your dog’s skin. This should only be applied topically to dogs and not ingested as it can cause stomach upsets. So make sure your dog can’t lick the gel once you have applied it. If you don’t want to grow the plant yourself you can just buy this gel. Calendula has antiseptic and anti-inflammatory properties that make it a great addition to your natural first aid kit. You can use the flowers to make a dressing for wounds or make a tea to use as an antiseptic wash. It is great for soothing skin abrasions and itchy skin conditions. In lieu of growing the flowers yourself, you can buy an extract. Chamomile is another flower that can be used as a natural treatment for dogs. It has anti-inflammatory and antibiotic properties. Chamomile, when made into a tea, can be soothing for nerves and anxiety issues. It can also help to soothe an upset stomach and alleviate minor skin irritations. Finely ground oatmeal mixed into a bath is a great way to soothe your dog’s itchy skin. This works for skin allergies, infections, and other skin conditions that cause your dog irritation. There are some great products for your dog that are based on oatmeal, like this oatmeal spray for soothing itchy skin and an oatmeal shampoo and conditioner. A bath of Epsom salt is a great way to treat your dog’s wounds. A quick soak with some Epsom salts in warm water can help to reduce swelling and promote faster healing. This is good for sprains and strains as well as it can help relieve muscle pain. Don’t let your dog ingest the Epsom salts though as it can upset them. Plantain is an antibacterial and anti-inflammatory plant that is good for treating wounds, stings, and bites. Plantain is very helpful for killing germs, speeding up wound healing, and stimulating the growth of new skin cells. It can also help to reduce inflammation related to digestive issues. Apply plantain topically to the affected area or you can use it as a liquid for ingesting. Remember to always seek professional advice before treating your dog with something new to avoid allergic reactions or overdosing. Natural remedies can be used for pest control for your dog as well. Some products on the market for pest control can be made with harmful ingredients that cause unhealthy side effects in your dog. We have some easy tips to help treat or prevent pest infestations for your dog. While these may not be a one stop solution to your dog’s issues they can complement other treatments your vet recommends. A brewer’s yeast dietary supplement can also be used to help prevent fleas and ticks. Try 1/2 teaspoon at mealtime for a small dog, and 1 teaspoon per 30 pounds of body weight for larger dogs. Or you can buy a brewer’s yeast tablet for dogs to add to their daily diet. Remember that good nutrition is just as important as a preventative treatment to keep your dog healthy. Citrus fruit makes a great tick repellent for dogs. Lemons, limes, and oranges can be used as a spray or bath to help treat and prevent ticks. Make up a spray bottle with one part citrus juice and one part water and spray your dog before they go outside. A bath made with citrus juice added to the water can help remove fleas and ticks from your dog. Dietary tick preventions include garlic and apple cider vinegar. The smell of these on your dog can help repel the pests. Just adding some garlic and apple cider vinegar to your dog’s diet regularly can be an effective way to help prevent ticks. It is also handy to know how to remove ticks from your dog. Natural remedies can also be used as a heartworm treatment for dogs. Heartworm infection is transmitted to your dog via mosquito bites. Treatment for heartworm can have some serious side effects for your dog, so you should focus as much as you can on natural heartworm prevention. Heartworm preventions include treating the environment your dog lives in to minimize their exposure to mosquitoes, preventing bites by using topical sprays and essential oils, and using dietary preventative measures. Feed your dog anti-parasitic foods like coconut oil and carrots. Cloves, mint, and garlic can also be added to your dog’s diet to help treat and prevent heartworm. There are some natural remedies for intestinal worms, like tapeworms and roundworms, that you can use for your dog as well. The first is pumpkin seeds. These have a compound called cucurbitacin, which is an amino acid that can help prevent the tapeworms and roundworms from infecting your dog. Add some pumpkin and seeds into your dog’s daily diet. The next is food-grade diatomaceous earth, which is effective in expelling intestinal worms like roundworm, whipworm, and hookworm. Papaya can also be helpful in treating intestinal parasites in your dog. Papaya is known for having the enzyme papain, which is an antiamoebic and anthelmintic compound that can help fight the parasites in your dog. You can also use turmeric as it has anti-inflammatory and antioxidant properties that will help heal affected intestines and expel toxins. Wormwood is an herb that can remove tapeworm, threadworm, and roundworm if applied in the correct dosage. It can even enhance your dog’s digestive system. If your dog suffers from allergies and itchy skin they can be helped with some natural home remedies. Vitamin E can be used to help treat dry skin conditions in dogs. Apply to your dog by giving them a massage with the oil, soaking them in a bath, or using supplements that contain Vitamin E.
Olive oil added to your dog’s diet is also great for their health. Olive oil is full of antioxidants and Vitamins E and K that can enrich your dog’s coat and skin. Just adding a tablespoon to your dog’s food a few times a week can help soothe their itching skin. Electrolyte replacement fluids are a good way to treat your dog in cases where they have diarrhea and vomiting. Losing too many fluids is dangerous for your dog. You can make your own solution or buy a hydration formula for dogs. Yogurt is also another dietary remedy that can improve your dog’s health. The acidophilus can replenish your dog’s good bacteria and improve their immune system. This aids in the prevention of yeast and skin infections in your dog. Just make sure you only give your dog unflavored natural yohurt or greek yogurt without any additives. Omega 3 oil is an essential fatty acid supplement that can be derived from fish oil or flaxseed oil. It functions as an anti-inflammatory to help prevent joint and bone degeneration. It can also help in reducing excess fat and weight in dogs. These are some of the best natural remedies for dogs we have found to help prevent and treat a number of health conditions. Most of these are convenient and cost effective to keep in your home. While home remedies won’t cure all of your dog’s ailments there are many benefits to using them to care for your dog. Ensure you give your dog the proper care that they need and always seek professional advice before treating them with something new. We hope you now have a better knowledge of how to take care of your dog’s health and well-being. P.S. Help a friend with these natural remedies for dogs by pinning this!